Our Black Friday Event Is Almost Here! The wait is nearly over! The most anticipated shopping weekend of the year is just around the corner and we’re just as excited as you are! When will you reveal your Black Friday deals? 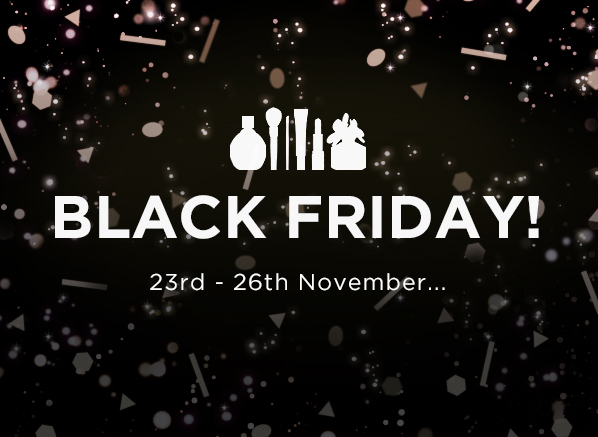 All of our incredible skincare, makeup and fragrance Black Friday deals will ONLY be revealed on 23rd November! Want to be the first to hear about our beauty deals? You can sign up to our e-newsletter here. Worried you’ll miss out? From Friday onwards, you can also head over to our Twitter hashtag #EscentualBF to see what’s still available and what’s not. We’ll be around all weekend on Facebook, Twitter & Instagram to answer your questions and queries too. 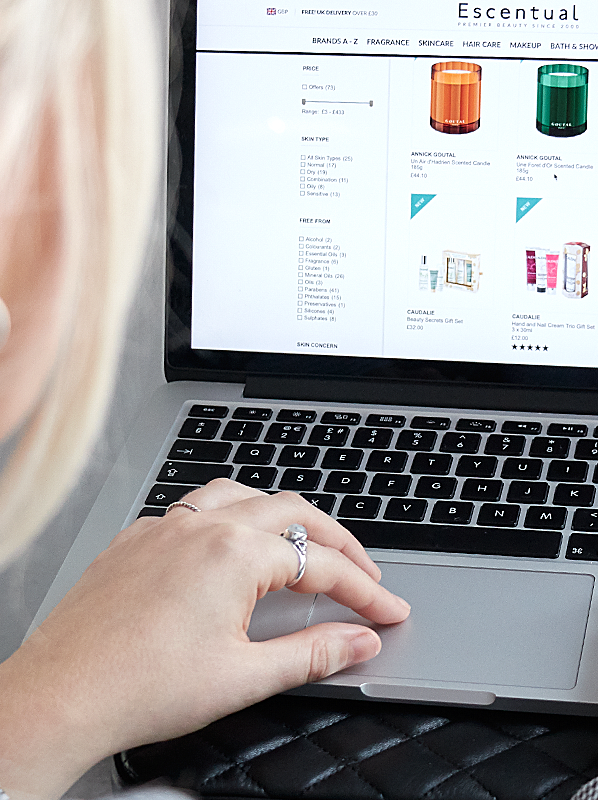 Can you tease any of your Black Friday beauty deals? In keeping with our premier beauty style, you can expect to see up to 50% off the likes of Versace, GUERLAIN, Clarins. Benefit and many, many more but for a very limited time! Exclusive alert! Because we want you to have the best deals, we’re offering a further 10% off site-wide with the code BLACK10* – you heard it here first! Do you have any tips for shopping at Escentual this Black Friday? From now until Friday 23rd November, add everything you love to your wish list, then refresh on Friday morning to check if they are part of our limited edition line-up. All you then need to do is click add to basket, and you’re good to go (unless the product is out of stock, of course)! We hate to say it, but once our Black Friday beauty deals are gone, they’re gone. So pop your alarm on that little bit earlier on Friday morning to avoid missing out. If you haven’t already, make yourself an Escentual account before Black Friday, this way your checkout journey will be much faster! Believe it or not, this isn’t obvious to everyone, but Black Friday weekend is the perfect time for getting as much of your Christmas shopping done and dusted as possible. We have deals that are perfect for all ages, male or female. Completely covetable and only the finest, our Black Friday beauty deals will make the best gifts – even if they’re from you to you! This entry was posted on Monday, November 19th, 2018 at 5:57 pm and is filed under Bath & Shower, Black Friday, Christmas, Christmas Gifts, Coming Soon, Fragrance, French Pharmacy, Gifts, Make-up, Men, Offers, Skincare. You can follow any responses to this entry through the RSS 2.0 feed. You can skip to the end and leave a response. Pinging is currently not allowed.